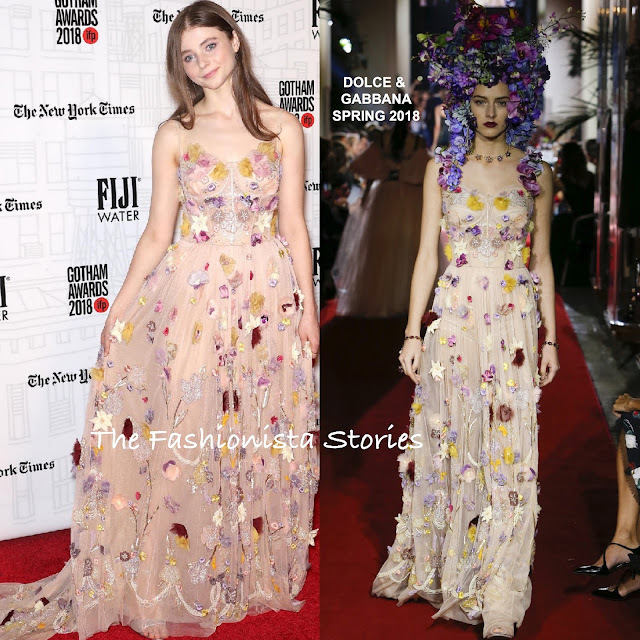 Thomasin McKenzie worked her gown on the red carpet last night(November 26th) during the 2018 IFP Gotham Awards with FIJI water at Cipriani, Wall Street in New York City. While I wasn't a fan of her previous look, this DOLCE & GABBANA SECRET SPRING 2018 floral tulle and embroidered layered gown is a much better. However I can't say that I am really sold on this. The color doesn't work on her but the floral details were her savior. She finished up with minimal makeup and center part straight tresses. What do you think of Thomasin's look?